CHICAGO – Novian Health, developer of Novilase® Breast Therapy, announced today that Walter Reed National Military Medical Center (Bethesda, Md.) is now a participating study site in the BR-002 Novilase Clinical Trial. The multi-center study is evaluating the effectiveness of Novilase Breast Therapy as an alternative to lumpectomy surgery for the treatment of small,early-stage breast cancers. Novian Health has already received FDA clearance for the use of Novilase Breast Therapy as an alternative to surgery for the treatment of benign breast tumors (fibroadenomas). Dr. Schwartzberg is principal investigator of the BR-002 Novilase Clinical Trial. She is also the principal investigator at Rose Medical Center (Denver, Col.), one of the 11 breast centers in the BR-002 breast cancer study. Known as “the Nation’s Medical Center,” Walter Reed National Military Medical Center in Bethesda, Maryland serves military families, active duty personnel, returning war heroes,veterans, and the nation’s leaders. Col. Craig D. Shriver, M.D., U.S. Army, is the principal investigator for the BR-002 Novilase Clinical Trial at Walter Reed, where he directs the institution’s Murtha Cancer Center. Novilase Breast Therapy is an image-guided, minimally invasive alternative for lumpectomy that uses heat from a laser to ablate (destroy) small breast tumors. The BR-002 Novilase Clinical Trial is evaluating the rate of complete tumor ablation of breast cancers that are up to 2 centimeters. It is also examining the correlation of the pathology of post-ablation lumpectomy specimens with MRI, ultrasound and mammography in detecting any residual tumor. * Less risk of infection * Shorter recovery time and quicker return to normal activities Novilase Breast Therapy does not preclude any additional treatment, if necessary. For example, radiation therapy, systemic adjuvant therapy, or any other treatment that is medically indicated can still be used. Walter Reed National Military Medical Center provides medical care to our wounded, ill and injured service members and service members and their families. Walter Reed Bethesda is the Nation’s Medical Center, proudly serving military beneficiaries in the Washington, D.C. area as well as those from across the country and around the globe. As the largest military medical center in the U.S., it is a tertiary care destination providing services in over 100 clinics and specialties and is the first destination in the continental United States for caring for the wounded, ill and injured from global conflicts.For more information about Walter Reed National Military Medical Center, access http://bit.ly/1m2nVI9. For more information about the Department of Defense Breast Care & Research Center, access http://bit.ly/1r18new. Novilase is a laser-based device for destroying tumors. This minimally invasive alternative to conventional surgery provides a safe tumor treatment alternative while preserving the patient’s options for additional procedures or adjunctive therapies. This image-guided outpatient procedure does not require general anesthetic or a hospital stay. To join or learn more about the BR-002 Novilase Clinical Trial, call 888-702-3198 or access www.novilase.com. 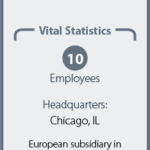 Novian Health Inc., located in Chicago, is a privately held medical device company with proprietary technology for the treatment of tumors using Interstitial Laser Therapy (ILT). Developed as an alternative to surgery, the company’s technology uses parametrically controlled heating for the ablation of tumors.Image-guided treatment of breast tumors is the first application of the technology, and Novilase also has the potential to treat tumors elsewhere in the body.